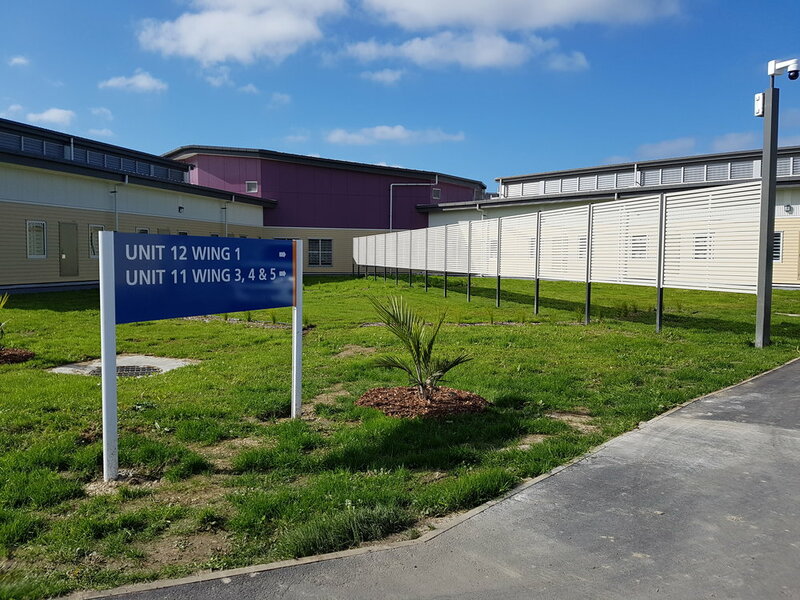 Early on in the project Fletcher Construction approached Hampden to work with the design team on the new SUPERMAX prison at Paremoremo. 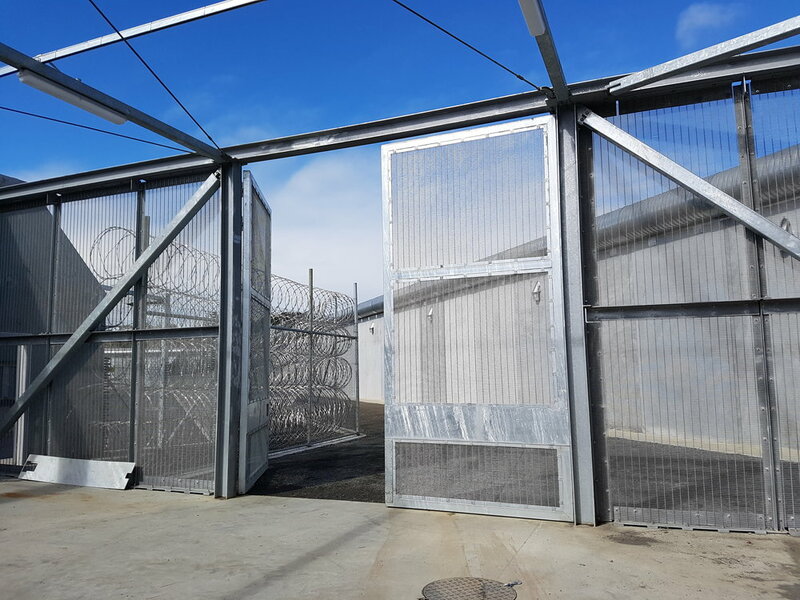 The team comprised of Fletchers, Jacobs Security, Mode Architects and BECA and the mandate was to design an effective containment solution for not only the secure perimeter but also several areas within the high security facility. Hampden’s involvement began almost 2 years before construction commenced with consulting and design advice. Detailing specifications, samples, drawings, renders and configurations to suit the exacting needs of the client. 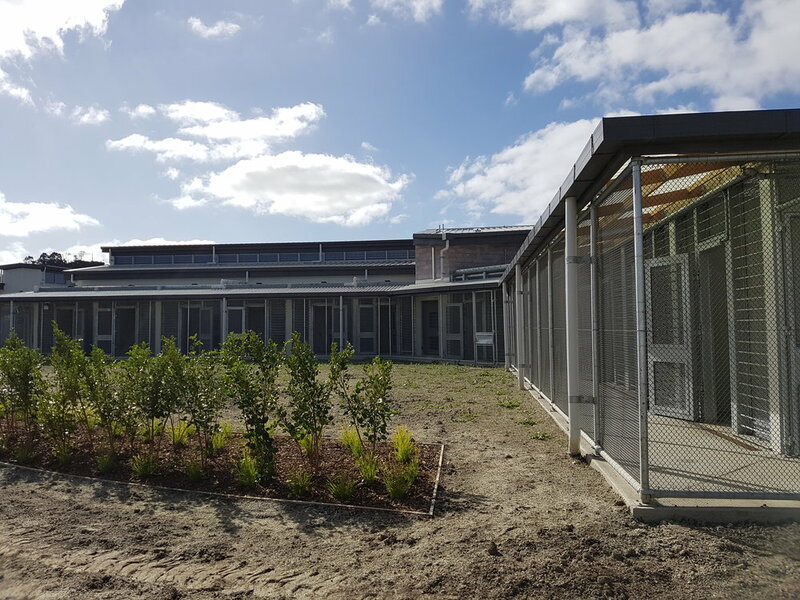 Hampden’s extensive knowledge and experience built upon its involvement in 11 major prisons developments as well as several smaller prison enhancement projects has proven to be invaluable to the design team and in the end the client when faced with meeting exacting containment criteria. Hampden’s ability to deliver tailored integrated solutions and to bring them through from concept to completion makes us the “go-to” option when it comes to design, product selection and the build itself. Hampden installation team worked closely with multiple other trades on site to get the job done while our designated project team made this an accurate and efficiently project managed from start to finish. With the inevitable change in scope Hampden’s in-house resources was able to meet these challenges in a timely and cost effective way helping to keep the overall project on track. Health & Safety was paramount, especially when installing over 4km of Concertina Razor Wire up to a height of 3.6m. Hampden had the well-considered methodologies as well as internationally sourced and certified PPE to keep its people safe. Hampden is proud it had no lost time incidents during installation which is a testament to the way we lead in the area of Health & Safety. Shop drawings produced for sign-off before all fabrication was done in-house by our experienced and certified team. Anticlimb Drums: nearly 1km of 900mm diameter spiral ducts were installed as a continuous Anti-climb barrier to the top of the precast perimeter wall at various heights ranging from 4m to 7.5m. 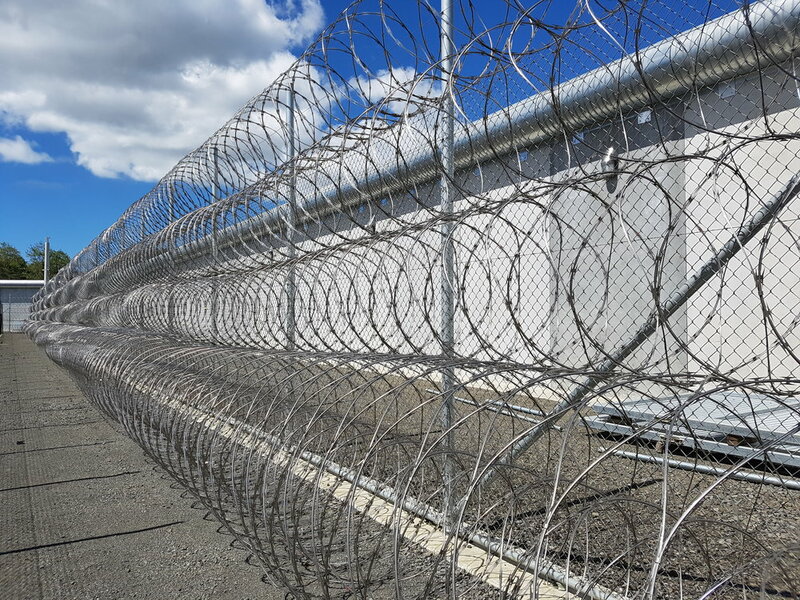 Internal Management Fence: A combined Chainlink and Concertina Razor Wire fence to deter and contain even the most determined prisoners. 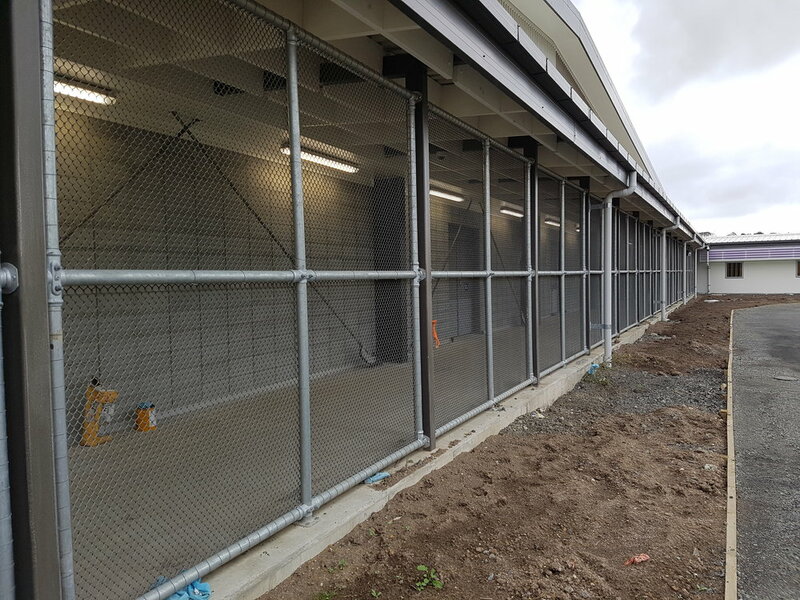 East-West Link: A 4m high Expanded Mesh (Anti-climb) with an anti-dig concrete strip and a 4.3m high Sensor Fence forms an effective secure link between the two prison wings. Privacy Screens: specifically intended to create a visual barrier between accommodation wings and prevent communication and planned attacks. Wing locks: assembly cages specifically designed for Riot Squad’s deployment in case of an emergency. Custom louvres: 100% visual barrier while allowing airflow to the corridors.